Returning to the spotlight after a short hiatus to be with his family, the WE USED TO DREAM release in 2018 was focussed on Jake exploring his own experience of every day challenges, of love and loss and ‘re-evaluating what this whole life and love thing is all about’. Following on from the release of his exemplary debut album OUR LIVES in summer 2017 - which cemented his authenticity as one-to-watch artist with his own distinctive style of feisty, powerful soul pop with anthemic, big hooks – JAKE is back with a run of expertly crafted new music, which has earnt him nods from Sir Elton who quoted it as ; Prior to this the South London artist and multi-instrumentalist can boast accolades including 4 independently released EPs – all self-released and Jake himself playing all the instruments across these projects - streaming numbers that total over 30 million, support slots with Elton John, Ella Eyre, Paloma Faith and his own string of sold out London dates, and a huge international fanbase thus selling out headline shows in the US, Belgium, UK, the Netherlands and Germany. 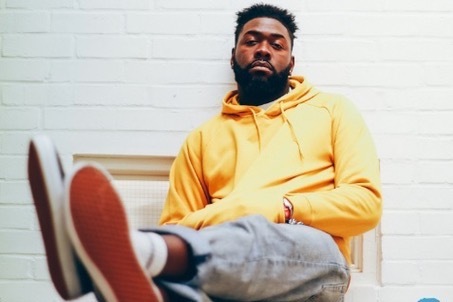 With his own take on a UK modern soul sound fused with folk influences, JAKE has steadily earnt himself an incredibly respected place within his scene, with nods coming from partners including BBC INTRODUCING, INDEPENDENT, METRO, NOTION, MAHOGANY, JOCKS + NERDS, CLASH, WONDERLAND, OFFICIAL CHARTS and many more.